Summer is a great time to get together with friends and family and enjoy all the foods a summer BBQ has to offer — unless, of course, you wear braces. 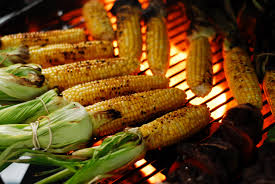 Your Salt Lake City braces provider at Utah Orthodontic Care understands that the food spreads at summer cookouts can be tempting, but it’s important to keep your orthodontic treatment at the forefront of your mind when it comes time to fill your plate. That’s why we’ve created this handy guide of reminders of some summer BBQ foods to avoid while wearing braces. Tough or chewy meats like steak and thick cuts of pork should not be eaten so as to avoid potentially damaging wires or brackets. Instead, go for other options like hot dogs, burgers, or tender cuts of chicken. To make these even easier to eat, try cutting them into smaller, bite-size pieces. When it comes to choosing a side dish, you’ll need to pass on foods like corn on the cob, chips, and raw veggies, or you could risk damaging your braces. Luckily, there are some other classic side dishes you can still enjoy, like potato or pasta salad, and french fries. But as for the ice in your drink? It’s great for keeping your drink cold, but just make sure you don’t chew on it. Passing up sweet tea, lemonade, or soda can be a difficult choice, but if you wear braces, you’ll be doing your teeth a big favor by doing so. The high sugar content of these drinks allows bacteria to build up on teeth around brackets, which could lead to tooth decay. Other tempting treats like salt water taffy and caramels should be avoided, since they can easily become wrapped around wires and cause damage while chewing. Instead, choose something like soft melon pieces to get your sweet dessert fix, and as always, make sure you drink plenty of water to help rinse your teeth clean, then brush as soon as possible after eating. If you have more questions regarding safe food options during your braces treatment, ask your trusted Salt Lake City orthodontic provider at UOC today! Our friendly and knowledgeable staff strive to ensure you’re provided with the best orthodontic experience from beginning to end. If you’re ready to learn more, contact us today to schedule an appointment at one of our many locations throughout the Greater Salt Lake Area. We look forward to hearing from you!